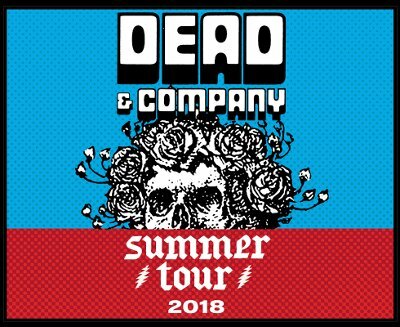 Dead & Company are spending another summer on the road. The group, which includes Grateful Dead members Bob Weir, Mickey Hart and Bill Kreutzman along with John Mayer, Oteil Burbridge and Jeff Chimenti, have been keeping the spirit of the Dead alive with yearly tours since 2015. They formed the band shortly after the Grateful Dead made their final appearances. This year's tour starts May 30 in Mansfield, MA and winds around the U.S., including a number of two-night stands (Camden, NJ, New York, East Troy, WI, Mountain View, CA, Boulder, CO) before finishing up on July 14 in Boulder. Check with your local venue on tickets. Some go on sale on January 26 while others are the next day. Shows being sold through Ticketmaster will require registration in the Verified Fan program, which opened today. New York and Boulder tickets are not going through Ticketmaster.